There is such a great number of reasons to purchase a summerhouse. From using it for health, like with a garden sauna and spa, or gym, using a modern garden room as a garden lounge for a little garden holiday every day after work, working from the garden in your own garden office to just keeping the garden tools in there maybe together with a sofa for a little rest during the occasional rain . Installation of one of our most popular 9m2 garden rooms with a 3 x 3m veranda and additional 1.8 x 3m storage room has been completed. It took our install team just one full day to complete this installation. The Super Lucas E cabin was launched in early spring this year and instantly became popular among our customers in Germany, UK, Austria and other parts of the World. With its three functions in one . One might think July is a time for harvesting around the garden shed, and maybe prepare everything for autumn, but wait a minute! It is not too late to do some serious sowing Where ever early cultures like romaine, broad beans, lettuce, or broccoli have been harvested you can find space to sow out new vegetables for harvesting in autumn. We have selected 10 vegetables for you to sow out in July: Spring onions . A garden log cabin is not only a very versatile and very useful garden building, it is also quite valuable and constitutes a considerable investment. Therefore, it is a sensible thing to inform yourself about how log home maintenance can prolong the life span and take preventing measures to avoid damages and keep costs and time requirement for repairs as low as possible. Moreover, well-maintained garden log cabins always make a more favourable visual . Our assembly team has finished the installation of a 12 x 6m log cabin for our customer Paul. A proper concrete slab was prepared within a day by a local company, then it took five days for the base to harden and finally three days for the cabin installation. Electrical works and wood preservative treatment are expected to take a couple more days before the cabin will be ready to use. This 70mm bespoke . If you own an inhabitable log cabin somewhere in a nice spot, not too far away from home, maybe somewhere on a camping ground, a private piece of land near a river or lake, or close to the beach, you will want to prepare this log cabin for lodge holidays, maybe hot tub holidays, not necessarily to rent it out to paying guests, but why not just for your own little, private log cabin . A garden office is a workspace in the garden, usually highly specified for its user. The main advantages are: No daily commute and therefore less waste of money, time and nerves, or, too say it positively: a much more relaxed attitude to work and a much easier way to get to work. 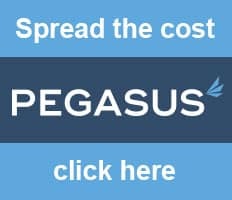 Specified environment: You can set your garden office up just the way you and only you (or your company) needs it, and . Our first four cabins have arrived in one of the most unique and beautiful places on the Planet Earth – Iceland. Our Icelandic customer is building 18m2 cabins to be used as holiday rentals. The cabins also feature a 9m2 veranda allowing guests to enjoy the surroundings whatever the weather. These extra thick 70mm cabins were especially designed, taking into consideration the remarkably tough weather conditions endured by this idyllic island in the Atlantic . Garden rooms always change the character of any garden. A garden without a summerhouse, a small log cabin, or a garden shed is more or less just ‘outside’ while a garden containing such an inviting wooden garden room takes the character of an inhabited space, as if the garden would change into an extension of the house, into a space to live in, to spend time in. While this is an undisputed fact among . An inhabitable log cabin is not only an extremely versatile building but also provides living space at an extraordinary high value for money ratio. However, the second part is only true, if you purchase a log cabin with a warranty from the portfolio of a large log cabin builder with a strong commitment to quality. On the other side, having an architect plan your own individual log cabin will enable you to get fantastic . Another Garden Room D has been installed for our English customers in Cadiz, Spain. 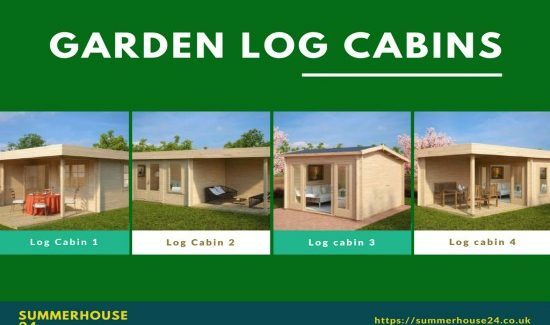 After installing electricity, treating the cabin with wood preservative and furnishing, this luxury wooden cabin will used as a garden living room and pool house. The Garden Room D features 38 m2 of inner space, 70 mm wall thickness, 28 mm floor boards, double glazed opening windows as well as double glazed French doors. Many of our customers use this . With the gardening season in full swing now, the garden storage shed gets used a lot to store gardening tools. Some use a tool shed for this, some use their garden shed, and some might just have enough with an outdoor garden storage box. The kind of shed is not that important. It mainly just serves to keep the tools dry and thus prevent rust, and keep them save. For some tools in the . If you use your inhabitable log cabin as a holiday cottage for hot tub holidays on the weekends, as a guest room in the garden, or you use your log cabin to live in it yourself: After the log cabin made it through the long winter, we spend more time in the gardens and get a good look at our log cabins from the outside. While walking through the garden, we admire the beauty . With spring finally here, the garden waking up from the winter sleep, the garden shed becomes a topic of considerations. A garden shed makes the garden an inhabited space, an extension of the house, and it can serve for a multitude of different, very meaningful usages. After all, a new room, for whatever purpose you may use it, will always also create a number of new options, new possibilities, new perspectives. And it is . For whatever purpose you use your summerhouse: A garden is always supposed to look nice and that’s one important reason why people love flowers and flowering plants in the garden. If these are planted, cultivated or just wild flowers of which many species are very beautiful, a garden with flowers has colour, it has live and the flowers symbolize fertility and joy of life, For many species though, it’s not just the sight that .